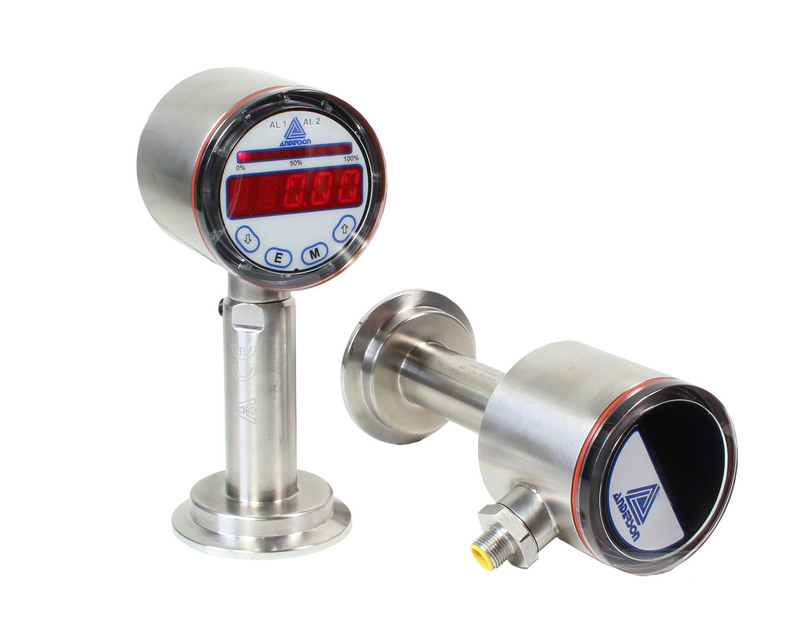 The plant installed sanitary pressure transmitters on various process lines using them for control input to move product throughout various process stages. The ambient environment was very humid and temperatures on the surface of the transmitter would cycle from quite warm, >90°F to cool, <60°F. Even though all transmitters were certified as NEMA 4X rated, over time many of the incumbent transmitters would slowly fill up with water and fail. Investigation revealed pressure differentials from ambient were created by the cycling temperature changes. When the transmitter cooled, warm humid air would slowly be drawn into the enclosure and then condense. Brand new transmitters were failing in as little as 6 months and maintenance inspections were showing measurable water ingression within the first month of service. We supplied the newly designed MPF Modular Pressure Transmitter for a trial. The MPF is sealed by a patent pending combination radial and axial seals at every enclosure penetration. This sealing design is a variation to that used on instrumentation designed for submerged service. Ten transmitters were trialed for 4 months at the process points experiencing the worst water ingression and inspected weekly. No evidence of water ingression was found on any of the trial units. As an additional benefit the standard clear plastic covers allowed for a quick visual assessment on the transmitters interiors without having to expend the time to remove them.